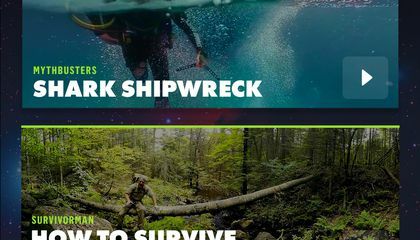 Discovery is releasing the first videos for its virtual reality network. It is called Discovery VR. The service is brand new. It is testing the limits and capabilities of the format. The videos will debut on DiscoveryVR.com and YouTube. And it will be on Android and iPhone apps. They reveal some of the promise of the medium. It covers every angle you could possibly look. It is navigable by moving a smartphone around you. Or even clicking and dragging the viewing angle around. You do that with a mouse. In the short video, "Shark Shipwreck," sharks swim around and above you. One even bumps the camera rig. Meanwhile, a narrator explains that the scent of food is being released. The scent is coming from a diver nearby. Some details might not be obvious. Such as the parasitic fish that swim along the underbellies of sharks cruising overhead that are revealed. You can see them when you swivel and look around. In "Freeboarding: San Francisco," viewers are put on the helmet of a skateboarder. The boarder is cruising down San Francisco's famously winding Lombard Street. Looking backward or staring at fans lining the road does not get you into an accident. And you might be surprised at which direction outdoorsman Les Stroud enters the picture in "How to Survive the Wild." That is because the forest scenery and burbling brook are delightful on their own. That is even before he walks in unnoticed. Then he starts talking about the day's survival lesson. Conal Byrne is Discovery Communication Inc.'s senior vice president of digital media. The executive says the point of the project is to determine what works in the developing format. For instance, finding out what could make someone feel ill or disoriented. "It needs to be repeated that we are experimenting a lot," Byrne says. "There are borders and boundaries that we are really going to try to push." The Discovery VR content can be viewed using virtual reality headset devices. That is in addition to computers and mobile devices. 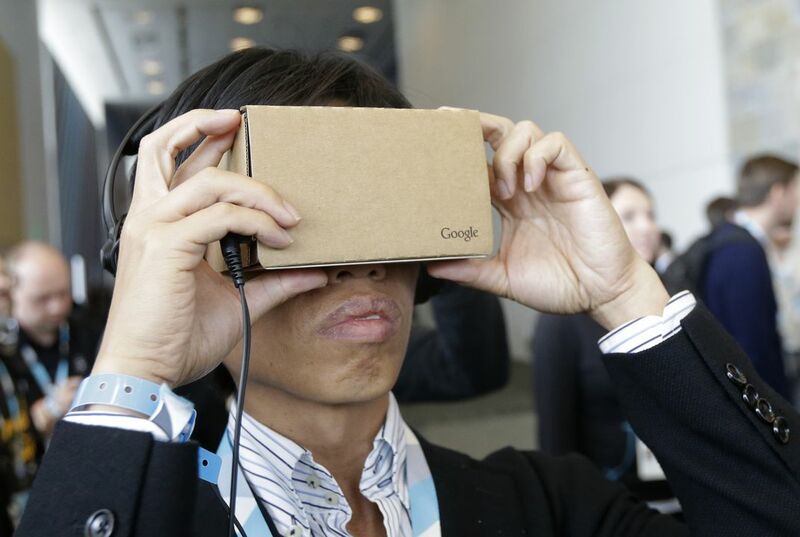 Those headsets include Google Cardboard and Samsung Gear VR. They are on sale now. It also will be available on Facebook's Oculus Rift. That is expected early next year. Some content will be linked to existing shows such as "Survivorman." ''Gold Rush" and "MythBusters" will also be seen. Others are original creations. They will exist in categories like the thrill-seeking Adventure and placid Planet. Discovery VR plans to show new content every week. That is at least for the next 12 months, Byrne says. This is a awesome article EVER!!!!!!!! !